On Tuesday 15 July Dartmouth flower displays, parks and green spaces are being judged by RHS South West in Bloom. 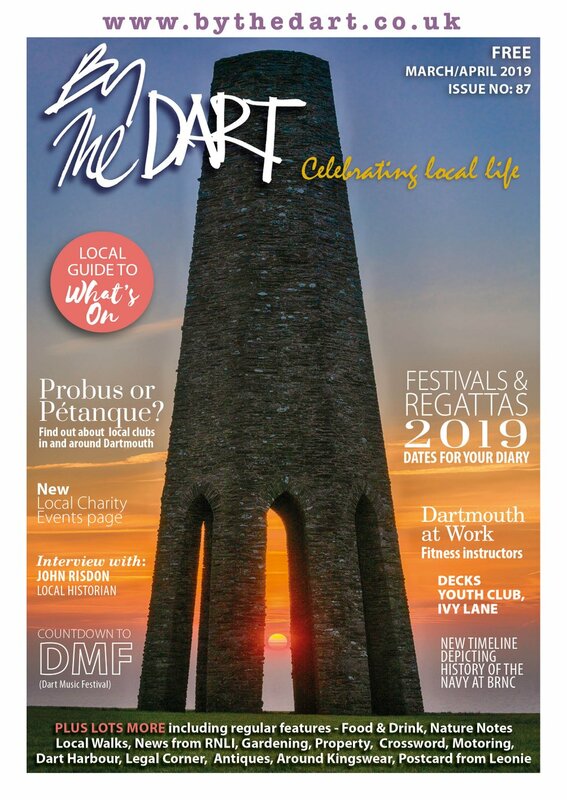 ‘The town must look its best if we are to win Gold again’, said Stevie Rogers, Chairman of Dartmouth Green Partnerships (DGP). ‘The gardeners and the DGP team will be out and about fine-tuning the displays and making sure there are no weeds or litter. ‘As well as Royal Avenue Gardens, the Boat Float and the historic streets, planted boats, troughs and baskets there are two new elements in the display’, said Stevie. ‘The Anchor bed at the bottom of College Way is being transformed into a spiky garden with some rare and interesting xerophytic plants, set in areas of different coloured gravel. Devon County Council (DCC) has given DGP a licence for the space. ‘The DGP team and helpers have worked really hard shovelling the gravel out of huge dumpy bags and spreading it on weed proof membrane round the new plants. 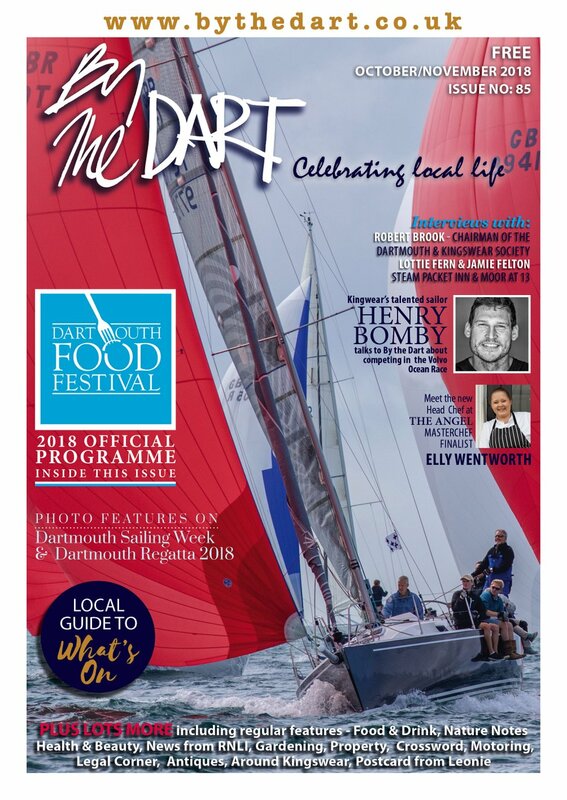 From 10.45am on Tuesday 15 July DGP members will be taking two judges on a tour of the town, from the Dart Marina, by Coronation Park, along the Embankment floral promenade via the potager and greenhouse site to Bayard’s Cove. They will come back through Higher Street, Smith Street, St Saviour’s and Anzac Street to Foss Street and the Market before heading to the top of town to see Churchfields Green, Milton Lane allotments, St John’s School and the wild flower beds. Finally they head down College Way to view the Orchard, Anchor bed, Coombe Terrace, the Boatfloat baskets and Royal Avenue Gardens. In the afternoon Townstal will have its own judging for the first time, having been entered for the new RHS Pennant Award which assess how the community is working together to improve green spaces and the neighbourhood. The judge will meet local community representatives and tour some of the areas recently planted with fruit trees, public spaces cared for by local people and private gardens. On Thursday 17 July RHS judges will again be in town looking at our It’s Your Neighbourhood entries. Committee members will let you know if your street is involved. ‘As if this is not enough, during the week of 15 -22 July DGP will judge the town itself’, said Stevie, so make sure your public displays are looking their best – you won’t know when we are coming!’ There are awards for shops and businesses, pubs and clubs, sheltered housing, best locality, best overall display and best all year round display. ‘Remember that you get extra points for self-made displays, sustainability and recycling, in line with RHS requirements,’ said Stevie. For residential awards for best displays in containers, best front garden and best secret garden you will need to fill in an entry form. 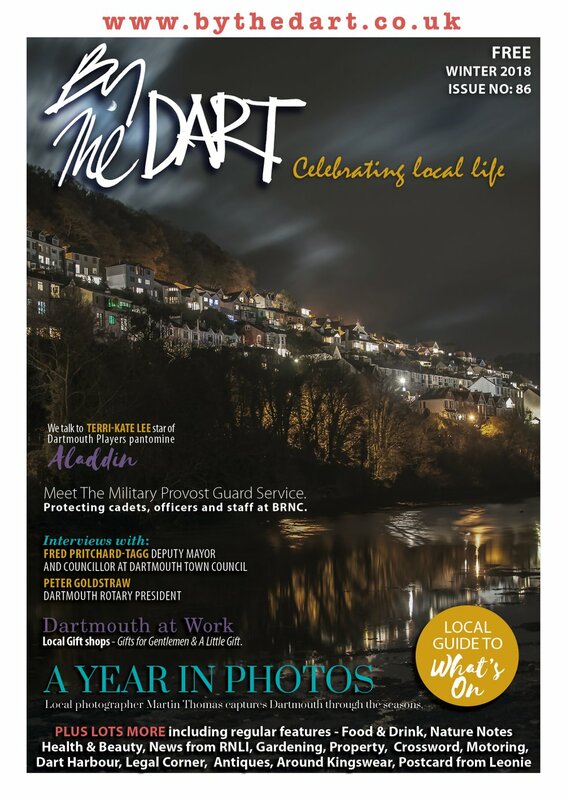 These are available in the Singing Kettle Smith Street, and Dartmouth Community Bookshop, Higher Street, the Guildhall. Please fill them in and return them by Wednesday 22 July.